Perfect Fake Webcam simulates a webcam with files, photos or screens on your Windows. You can use it on video chat or instant messengers. 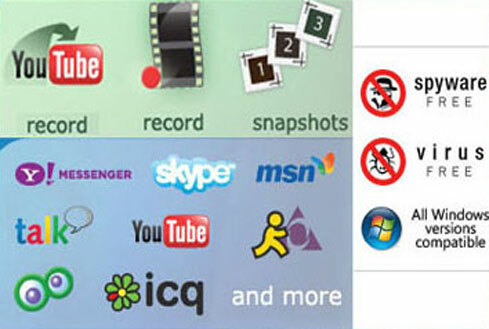 Besides webcam simulation, features such as webcam recording, webcam splitting are also included in Perfect Fake Webcam. See descriptions below for details. Enjoy downloading YouTube videos and stream them to our Perfect Fake Webcam to ‘create’ a new webcam guy! Play files/screens as your webcam! All webcam applications are supported. Your video chat applications will recognize our Perfect Fake Webcam as a physical webcam. Our simulation is perfect and till now no software can detect it as “fake webcam”. (Our virtual camera driver is built with WDM driver technology.) Many people use our fake cam to broadcast videos on websites like justin.tv or omegle chat. With our Perfect Fake Webcam, you can record your physical webcam videos at any time. Choose your physical cameras as the input source and click the ‘record’ button on the main dialog of Perfect Fake Webcam. Then Perfect Fake Webcam will record the webcam videos and save them as avi files. You can also configure which compressing encoders you want to use. Besides webcam, hardware such as PVR, capture cards, etc. is also supported. Normally, Windows does not allow you use your physical webcam in multiple webcam software at the same time. If you try, Windows will pop up warning message “Cannot connect to this webcam. Close any programs that may be using your webcam”. Perfect Fake Webcam can remove this limitation. Our fake cam can ‘split’ your physical webcam into several webcams to let it be read in multiple webcam software synchronously. 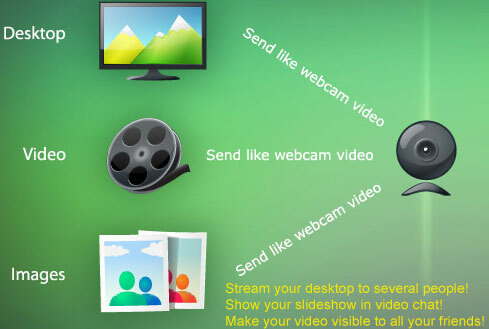 Want to add cool webcam effects on your webcam and video chats? Try our software. 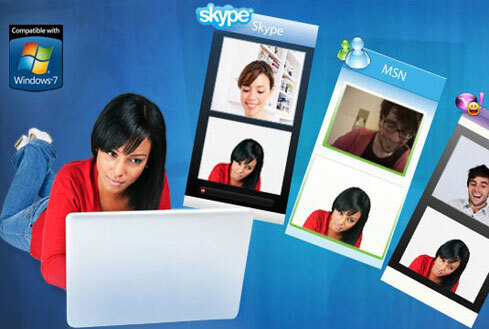 Now I can webcam chat with my several friends in the same time on Skype! Thanks perfect fake webcam!